Glenfarclas is one of only a few remaining independent, family owned and managed distilleries in Scotland. Since 1865 the Grants of Glenfarclas have been at the helm at the distillery, which is currently run by the fifth and sixth generations. 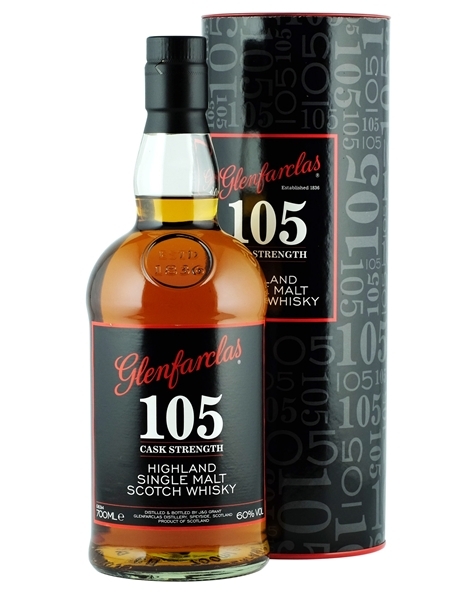 Glenfarclas 105 Cask Strength (~€62) is bottled at a hefty 60% ABV. The brand goes back to 1968, when George S. Grant decided to bottle a cask of Glenfarclas at natural strength as a Christmas gift for family and friends - the lucky devils! The strength of that cask was 105 British Proof - so Glenfarclas 105 was born.